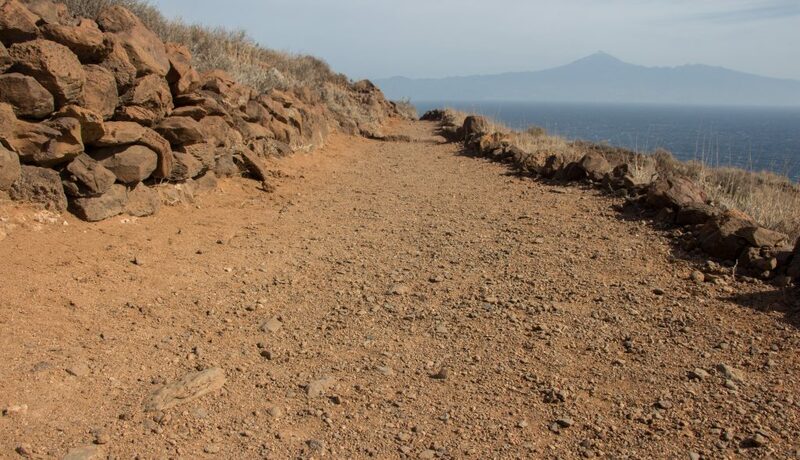 The trail starts in San Sebastián de La Gomera, the island’s capital city. 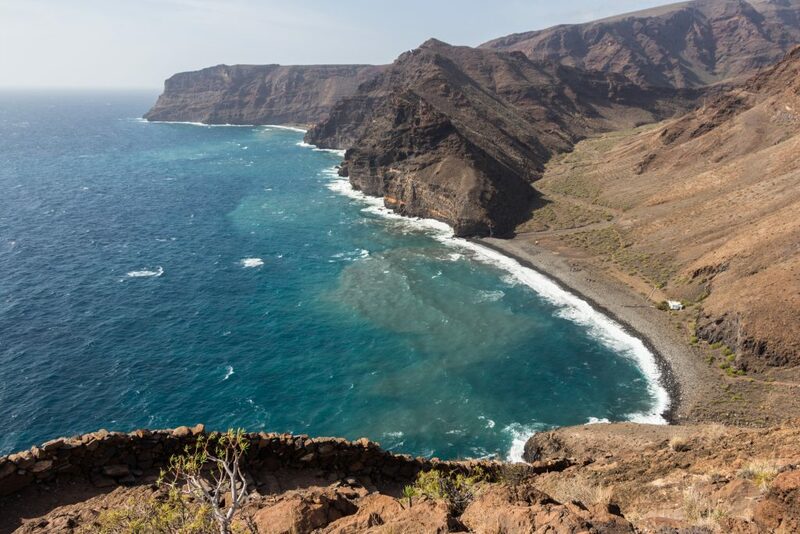 You can get there quite easily by a ferry from Tenerife, Gran Canaria or La Palma. Naviera Armas is cheaper, Fred Olsen is faster. You realize how small San Sebastián actually is when you start to climb up on the southern slopes and after a few minutes you can get an overview of the whole town without turning your head. My friend, Hana, and I started this track in the very end of December and even if it was officially winter, the local weather gods obviously don’t play the game of seasons here. Let’s put the sunscreen on! At the beginning of the trail we met quite a lot of people since the trail goes to Playa de la Guancha (Beach of the Guancha) which is not too far, and its beauty is well known. We reached the beach in less than 2 hours and yes, I have to confirm that it’s really beautiful. 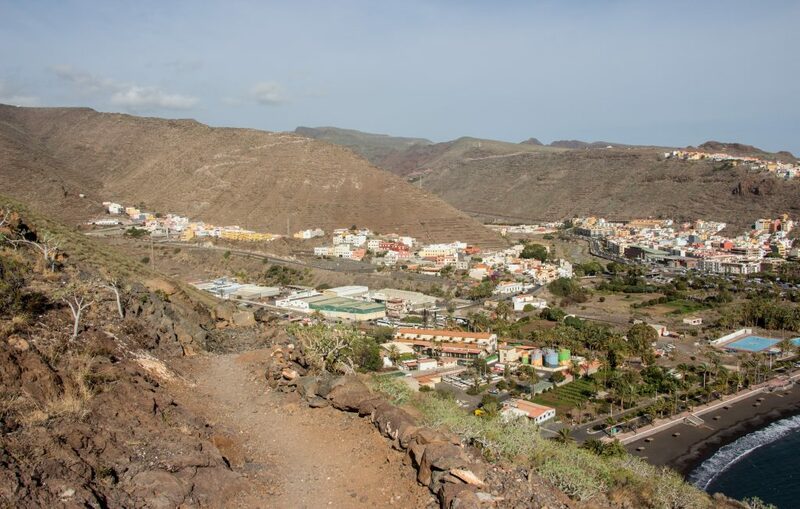 From the beach the trail goes up to Barranco de la Guancha. After reaching the top all of a sudden everything opens and you see into the valley’s guts. The beauty is mesmerizing and if the locals would like to earn some money, they could easily put some couches and popcorn machines there and sell tickets for the view. The descent to Barranco de Juan de Vera is very steep but short. 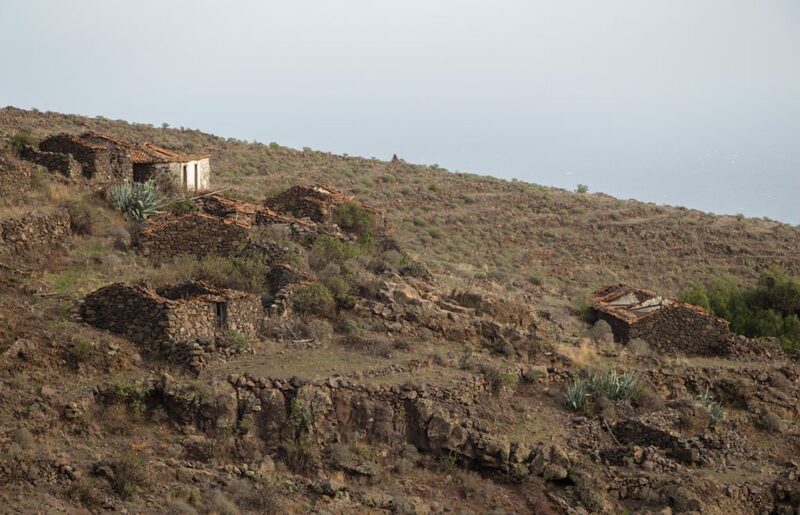 On the sea shore you can find El Cabrito, a fancy hotel resort which pretends not to be. You can get water there though in a water fountain behind the second bar. We continued further up along the cacti and infinite and never ending terraces. My mind keeps on thinking about the people who built them and the tremendous amount of work put into that. How did they sort the water out? What did they plant? How did they move their goods down to the cities? Soon we came to Morales. On a map it looks like a tiny village but it’s just a bunch of ruins. It’s a great spot for a camp but we pushed on a little bit more down to Contreras to escape the strong wind. Contreras is the same case as Morales – only ruins, no people, just a few forgotten sheep and maybe a lost shepherd around but I haven’t see anyone. We built our first camp here on a lonely never ending terrace under endless amount of stars. 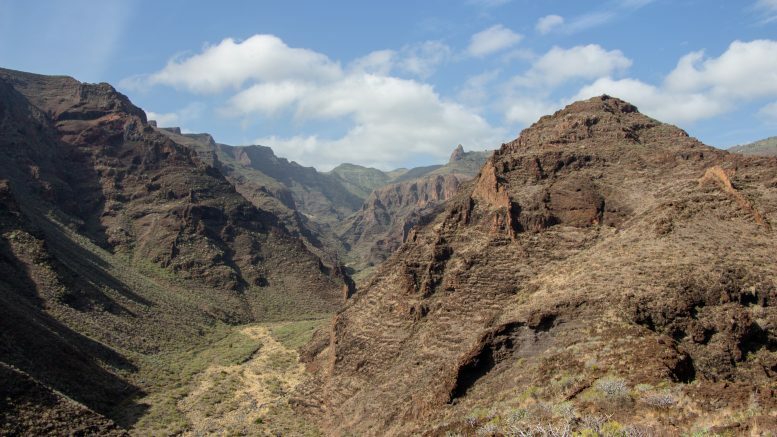 Be the first to comment on "Day 1 of GR 132: San Sebastián de La Gomera – Contreras"